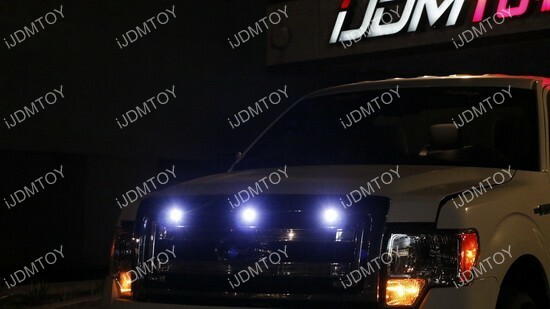 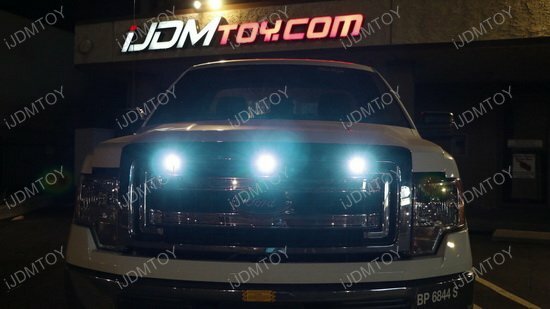 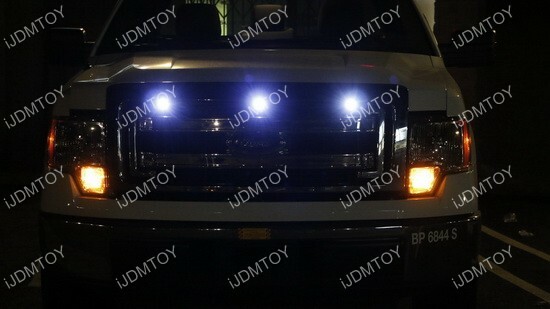 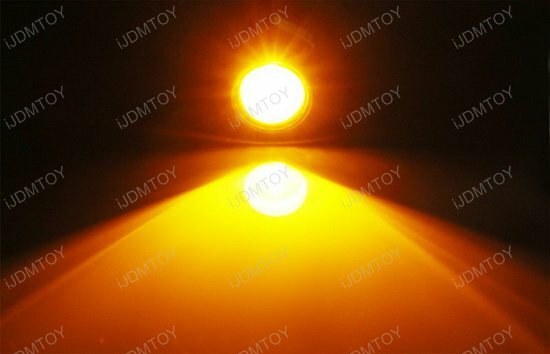 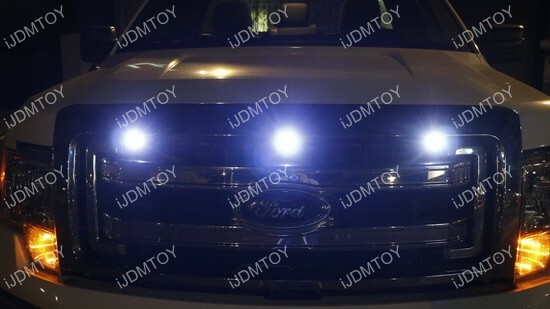 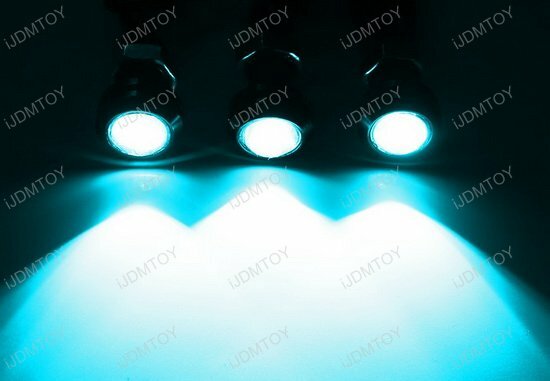 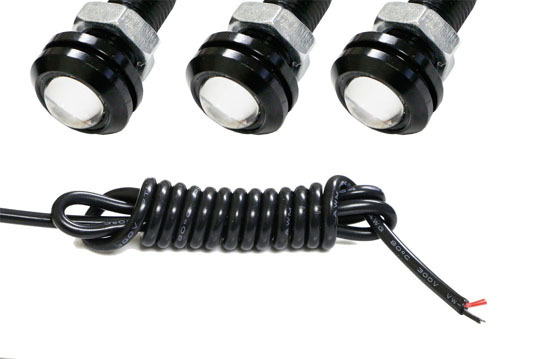 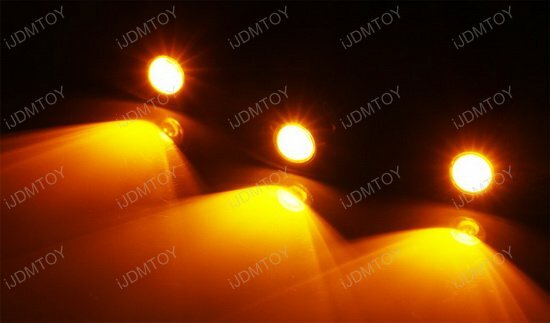 LED light diameter: 0.885", thickness: 0.4", bolt length: 0.8"
Q: How do I mount the Ford SVT Raptor Style LED lights? 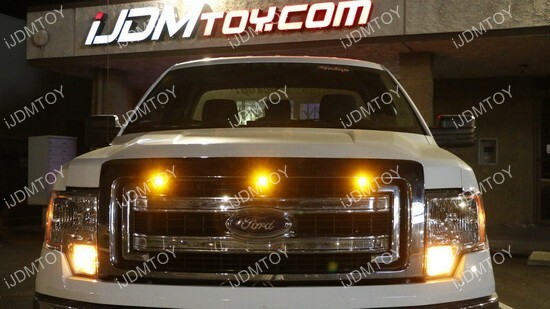 A: Mount the LED light at the front of the grille, and screw in the bolt from behind the grille mesh to secure in place. 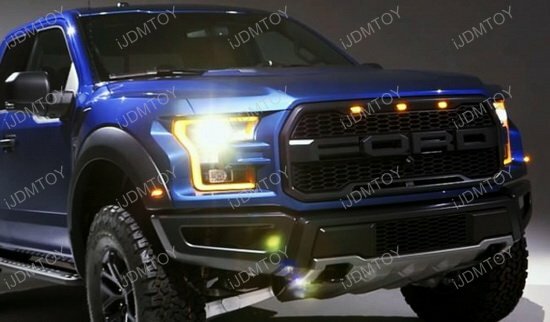 Q: Where do I tap the wires to get the Ford Raptor style grille LED lights to function? 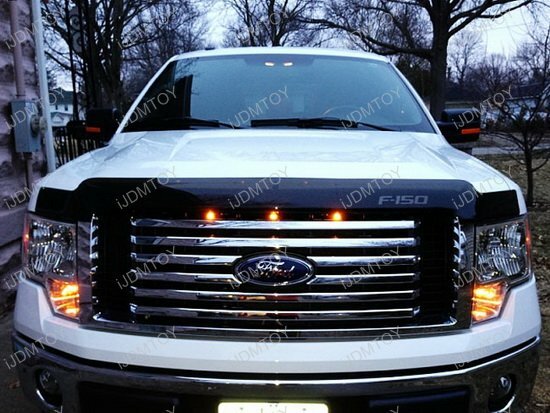 A: You can tap the wires to your stock parking lights or headlights. 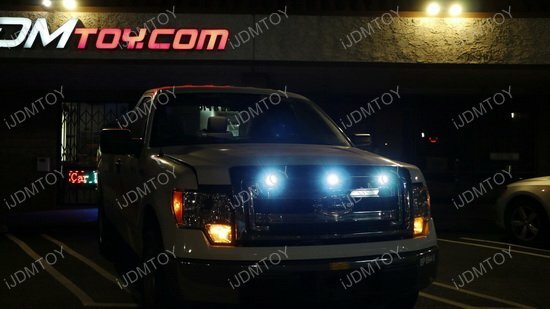 Test to make sure everything works and enjoy your new Rod Raptor style grille LED lights. 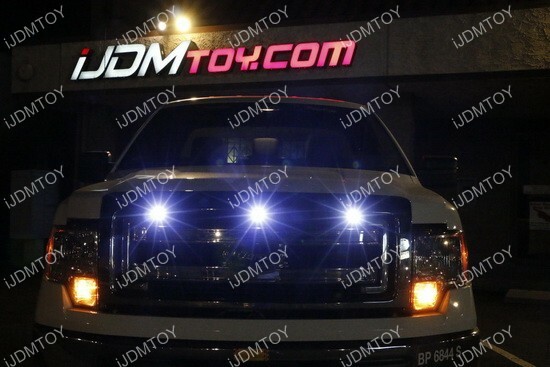 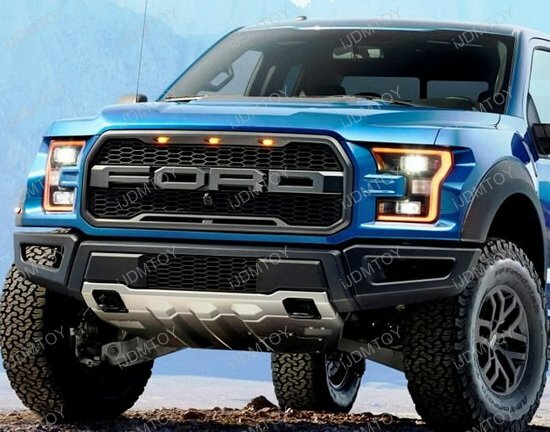 If you're looking for a subtle and classy lighting upgrade for your Truck, then this Raptor SVT-Style LED Grille Lighting Kit is perfect for you! 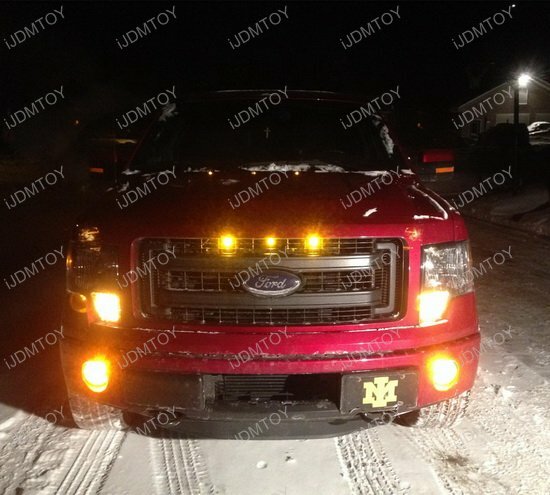 This complete LED lighting package features 3 pieces white or amber bolt-on LED lights which can give your Truck the same aggressive looks like an SVT Raptor. 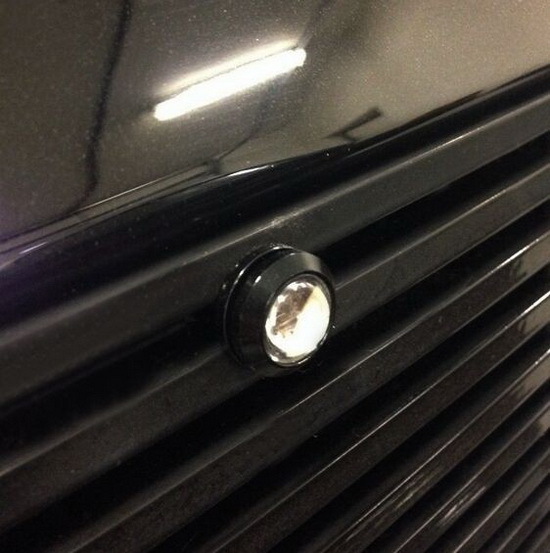 The installation is very simple. 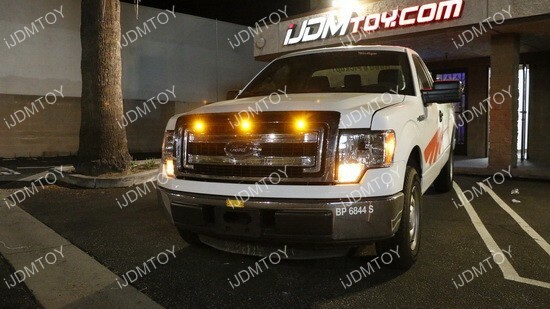 You just need to mount these bolt-on LED lamps against the center grille mesh and connect the wires to the existing parking lights or ACC. 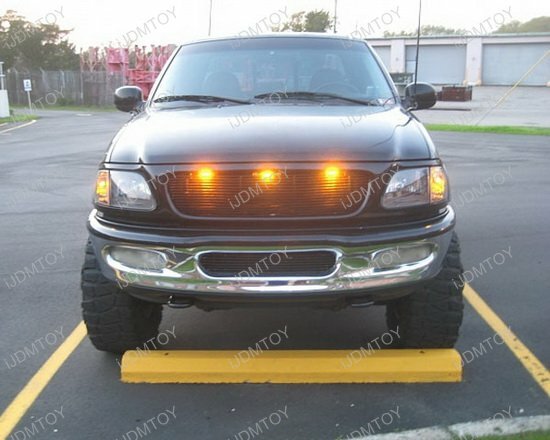 The amber yellow LED running lights are very bright on my Chevy but not watertight! 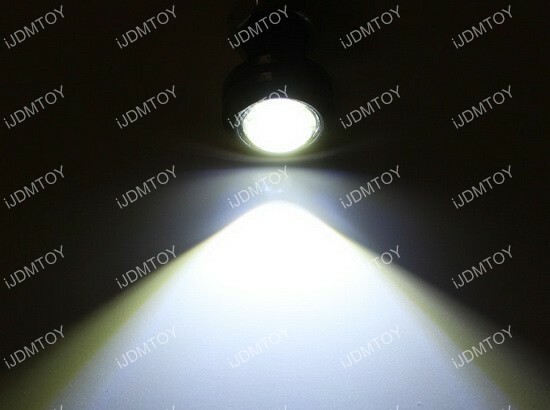 still working great even with some moisture inside.